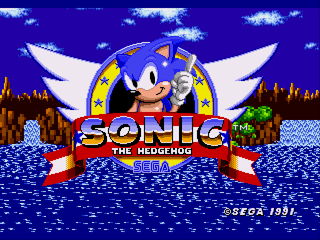 Here is a hack for Sonic 1 which was entered for the Sonic Hacking Contest of 2014. 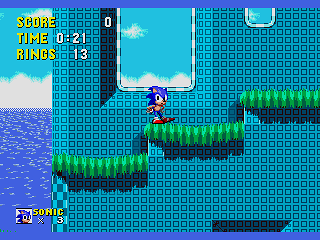 Sky Shores: Just like green Hill, but placed in the sky. Dark Dungeon: A damn version of Marble Zone. Bouncy Blast: A big pinball street with dangers and roller-coasters. Tidal Tank: A large mechanical maze of water. Speedy Street: A very fast city with neon and carnival. 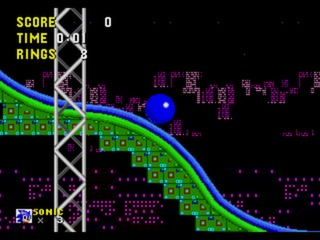 Eggman Engine: The secret electric device of eggman. 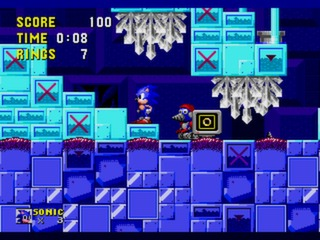 Technical Info: The hack is using the Sonic 1 GitHub disassembly. 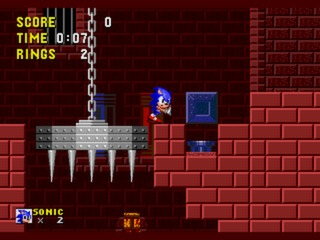 The level layout is made using SonLVL and some private .NET utilities (maybe posted on SSRG). The disassemblies edited in Notepad++. SMPS ported using SMPS Converter and SMPS Extractor of the excellent guy ValleyBell.